For those Asia and Indochina enthusiasts, there is a place which is constantly listed on the list of “The Best”: Hoi An (Hội An). This is the favorite port town of Southeast Asia. It wins the heart of every tourist from its stunning coastline to its yellow-colored alleyways. So, why visit Hoi An? Here we list down 22 out of top reasons to visit this UNESCO World Heritage Site and stay a while. Check out! Hoi An might not have a huge reputation as other beach towns of Vietnam, yet it has two nice beaches to select from. If you want to hop on a bike and comfortably cycle several kilometers, you could arrive An Bang (An Bằng) Beach which is situated about 3 kilometers north of Hoi An or Cua Dai (Cửa Đại) Beach which is situated about 5 kilometers east of Hoi An. Uncrowded, warm, inviting waters, clean sands, and tiny restaurants serving tasty food and local, cold beers – who else can resist such attraction? 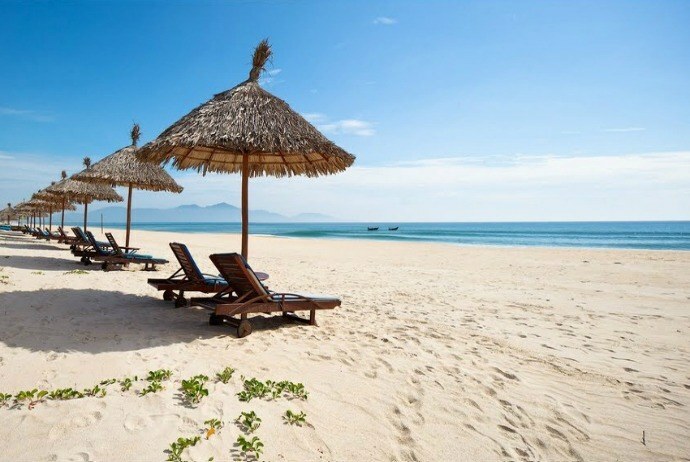 With a “local” and a “tourist” beach, no matter what experience you are looking for, the beaches in Hoi An all can offer. Cham islands, off Hoi An’s coast, is a chain of small islets loaded with the ancient Champa history and rich marine life. Tourists can snorkel, dive, boat tour or stay overnight on this secluded, quiet piece of paradise. Vietnamese street food is famous and Hoi An is one of the places offering the best of street food in Vietnam. The street food in Hoi An is mouth-watering tasty and extremely affordable. 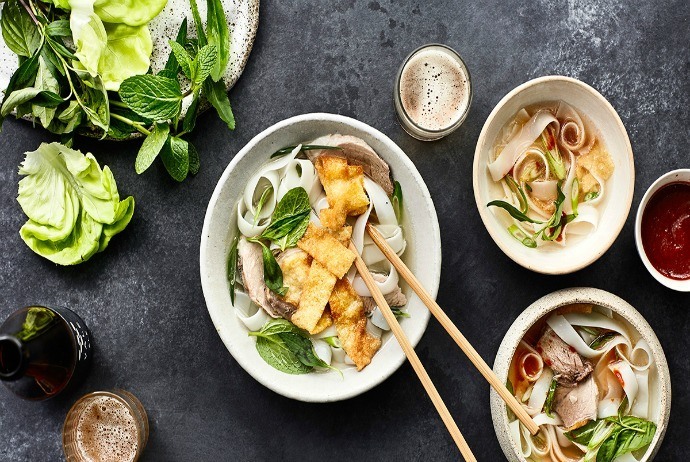 In particular, Hoi An has a few local specialties, such as Cao Lau and white rose dumpling, which are the fat noodles well served with mint and pork. Authentic Cao Lau (Cao Lầu) noodles are dipped into the water collected from the ancient wells around Hoi An. White rose dumplings have shrimps as their main ingredient. The dish is arranged prettily on the rose-shaped plate. These dishes are available in the menu of most restaurants in Hoi An and often cost under $2. In the 16th and 17th centuries, Hoi An was a busy trading center. Nowadays, this historic quarter is a mysterious, enchanting streetscape of Japanese, Vietnamese and Chinese houses. The streets in Hoi An are uniformly pained mango-yellow. Every night, there are colored, traditional lanterns hung on the streets. The architecture, historic sites, and river life remain completely unscathed. As mentioned earlier, Hoi An used to be a main port of the ancient Cham from the 7th and 10th centuries. The success in the past was because of its easily accessible location on the bank of Hoai (Hoài) River (aka Thu Bon (Thu Bồn) River). Nowadays, the picturesque waterscape of the wooden boats in Hoi An draw tourists to the river, where they could soak up the historic stories on a boat ride. One of the ancient trading fields in Hoi An still going strong today is tailoring. The local people have not lost their touch on hand crafting clothes for many centuries. You can get 3-piece suit, shirt, dress, a pair of shoes, or jumpsuit there. It will fit and look precisely the way you want it. It just costs a quarter of what you’d imagine. 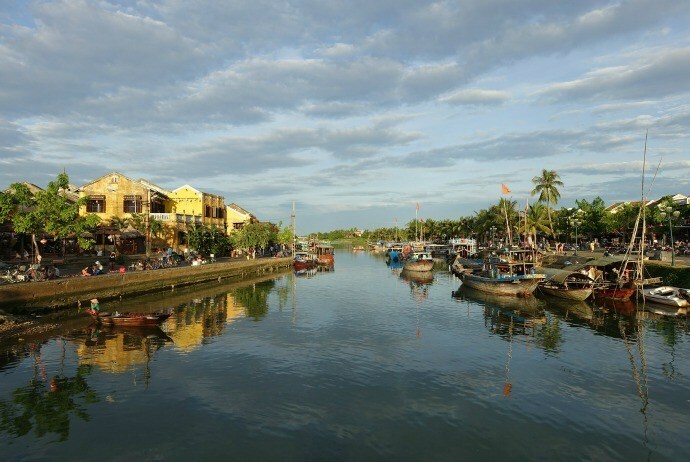 Visitors who are looking for a holiday that will not cost too much will love Hoi An. 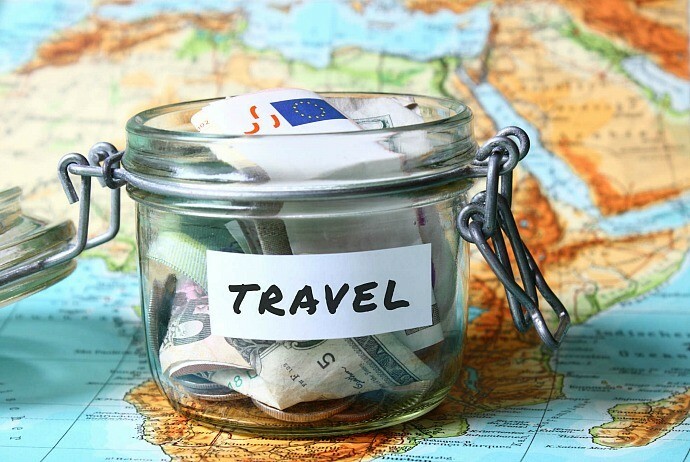 In this destination, a bottle of beer just costs from $1 to $2 in a medium restaurant, a bowl of the famous pho is just around $1.5, or a massage in a parlor is from $5 to $10. The hotels nearby beaches or in the Old Town just cater for a proper amount of money. A room in a popular hotel could cost as little as $20 per night while the 4-star resort costs from $130 to $200 per night. Hoi An is considered an ideal place for couples. Why? A walk of contemplating sunset, cocktails in the character bar, or a special dinner at dusk in the riverside coffee shop in the Old town of Hoi An offer romantic experiences couples always look for. The historic quarter along with its beautiful riverside setting is definitely attractive towards lovers. One of the top 10 Iconic travel experiences given by Lonely Planet is taking a cooking class in Hoi An, Vietnam, It is obviously one of top reasons to visit this ancient town. You can take part in the class, cook with a few of the freshest ingredients of the world, learn local secrets behind each specialty of Hoi An, and try your best to bear in mind and bring home those unique flavors of Hoi An. When thinking about Vietnam, the countryside, in general, and countryside in Hoi An, in particular, is what you are picturing. Swaying bamboo, vast green rice paddies, farmers donning iconic conical hats, coconut trees, water buffalos trotting along the small road and peaceful riverside villages looking like they have never heard about tourism… this is what make Hoi An so memorable and impressive in the eyes of Western tourists. This is a reason for those golf lovers. The coastal trip between Danang and Hoi An is developing its reputation as the ideal golfing destination. 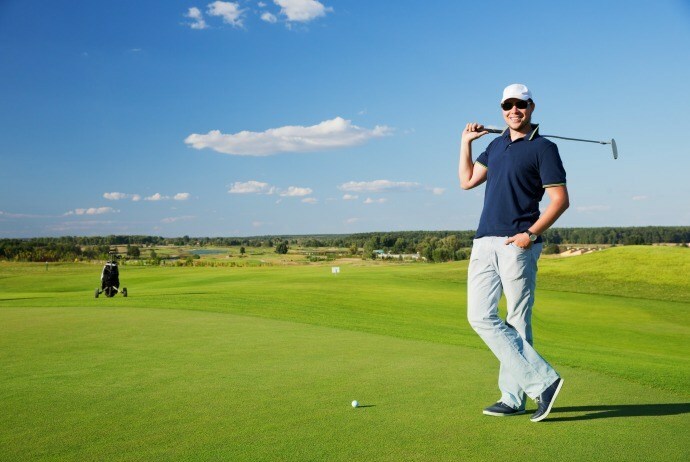 There are 3 world-class golf courses in Hoi An, so you can easily choose one of them to challenge your golfing skills. Unlike Ho Chi Minh (Hồ Chí Minh) City or Hanoi (Hà Nội), where being on two-wheeled vehicle is not a great idea for the faint hearted, the Old Town of Hoi An is a breeze to ride a bicycle around. With just $2 per day, you can hire a bicycle. They are available almost everywhere in the Old Town. Because the weather is usually humid and warm, a cycle (the 3-wheeled bicycle) seems to be a more relaxing transport means. It costs just $4 per hour (including the tip). Rambutan, mangostene, and papaya are a few of the sweet juicy tropical sold in lively produce markets of Hoi An. 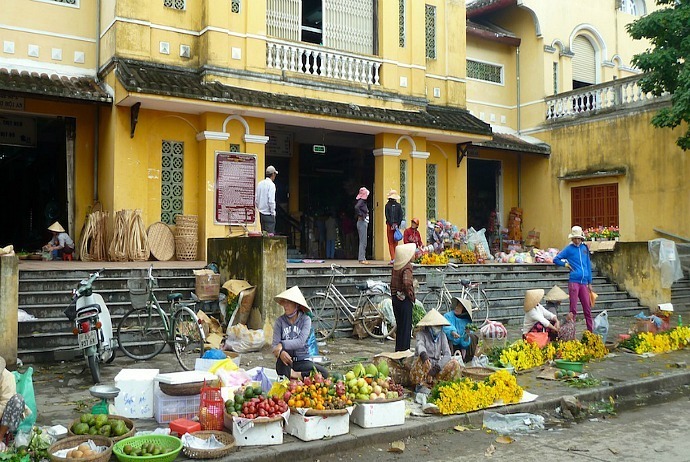 Make sure that you visit the markets in Hoi An in the early morning to get the freshest produce. Look for spices, go to the markets and you will see them in sealed packets and could be brought home as presents. Bot Ngu Vi Huong (Bột Ngũ Vị Hương) (the powder of five aromas) is great for seasoning the meat. Because Hoi An is a coastal town, many people here are expert fishermen; therefore, fishing is also one of their major livelihood methods. Visiting a fishing village and experiencing the life of a local fisherman is an interesting cultural experience. The tours offer travelers a chance to learn how to fish like a real local. You can lift the fishing nets out of water, use those baskets to scoop the fish out of those nets and spread nets in water once again. 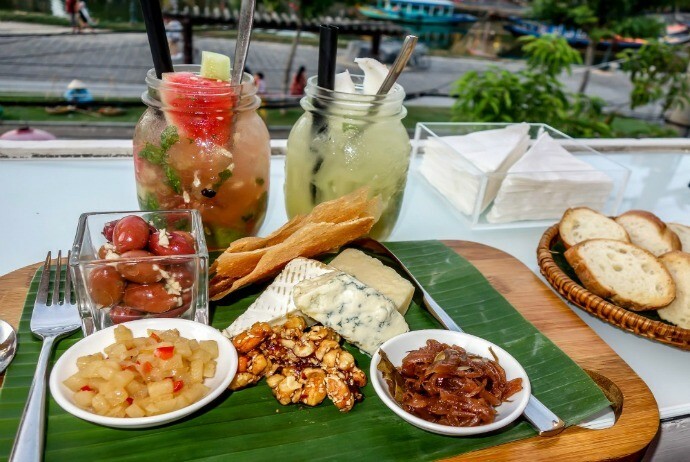 Beyond the street cafes, fusion food and drinks, there is a huge trend for gourmet dining in Hoi An. The restaurants such as Ancient Faifo Restaurant, Morning Glory serve creative cuisine looking as nice as it tastes. The meals are an interesting twist of traditional dishes and decoratively presented. About 50km away from Hoi An, My Son (Mỹ Sơn) Sanctuary is a collection of 70 Hindu temples which were dedicated to Shiva. Built from the 4th and 14th centuries, it was the capital of Champa rulers, usually compared to Angkor Wat and Borobudor. Most parts of My Son Sanctuary was damaged in the American War yet there are enough structures remaining, making it a worth experiencing trip. 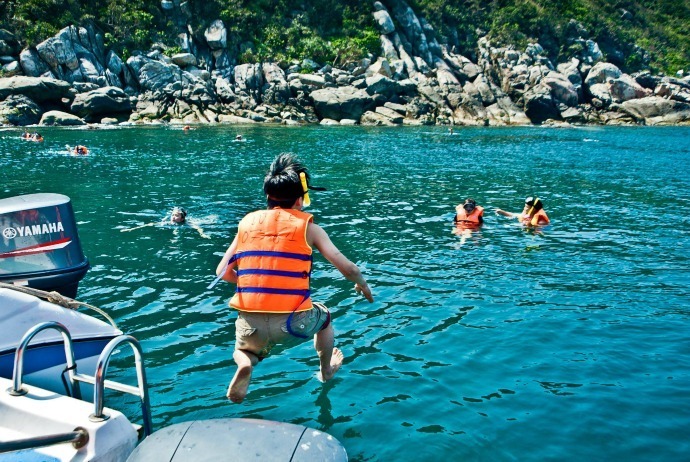 Taking a ferry ride from the Old Town of Hoi An, you can reach Kim Bong (Kim Bồng) Island which is a leap into the past. No car is allowed here so you should rent a bicycle to go around. This island is a woodworking centre, in which many generations of the craftsmen have been created many of historic buildings in Hue and Hoi An’s Old Town. Pagodas, temples, and shrines abound, including those being built by Chinese communities. Several of them are impressive like Ong (Ông) Pagoda, built in 1653 in honor of the ancient Chinese general of three kingdom of China and the 17th century Phuc Kien (Phúc Kiến) Assembly Hall (no.46 Tran Phu (Trần Phú) Street). This hall was established by the largest Chinese ethnic group in the Old Town of Hoi An, the Phuc Kien. The lifestyle in Hoi An is slow, in contrast to that of Saigon or Hanoi. Rent the favorite transport mode (a bicycle) for about one dollar per day, and freely pedal your own way through the Old Town, rice paddies, beaches, and tiny villages. 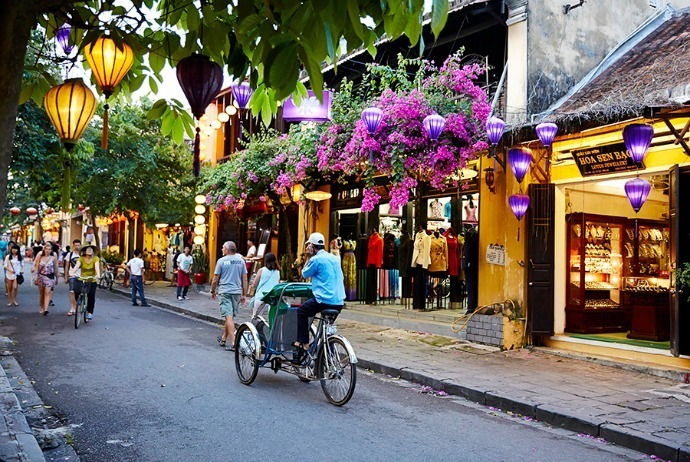 Hoi An has been rated as one of 10 best cities for traveling in Asia by Smart Travel Asia. In reality, it is the safest destination in the S-shaped country, Vietnam with hospitable and friendly people. Even more interestingly, you will not see any motorbikes weaving both in and out in Hoi An’s streets or sidewalks. Also, Hoi An is a perfect place to break your journey on the way to discover Vietnam, which is different from busy cities like Nha Trang, Ho Chi Minh (Hồ Chí Minh) City, or Hanoi (Hà Nội). It is very relaxing and peaceful and offers a more comfortable and cozy feeling. Particularly, you will not see those vendors who try to bug you to sell their stuff in this Old Town. Despite it is a popular tourist attraction, it is not scam and touristy city. 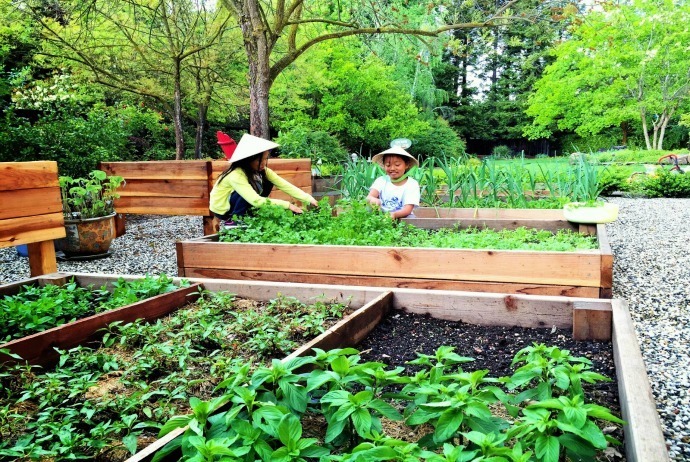 Another reason to visit Hoi An and stay a while is its organic farming community in the suburb of Hoi An, which is Tra Que (Trà Quế) Herb Village. It is situated 2km north of Hoi An. Visiting it is a pleasant way to enjoy the countryside of Hoi an. 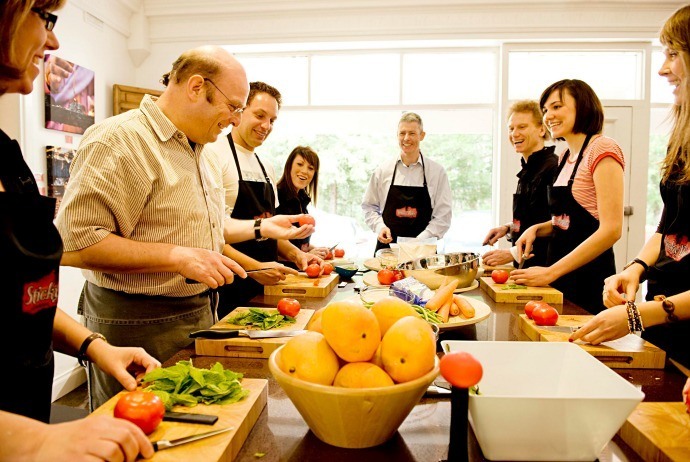 When you arrive at the farm, you could join in some activities like cooking classes, farming and rice paper making. That will bring to you a unique but still interesting experience hardly found anywhere else. Hoi An does not slow down after the sun sets. Dance and music performances are usually celebrated along the riverfront in the evenings. You will notice locals and tourists releasing floating candles with the well wish into Thu Bon (Thu Bồn) River. In case you love shopping at nighttime, then feel free to cross the bridge over to the An Hoi Island in which an interesting night market sets up selling various stuff from beaded necklaces to silk lanterns. 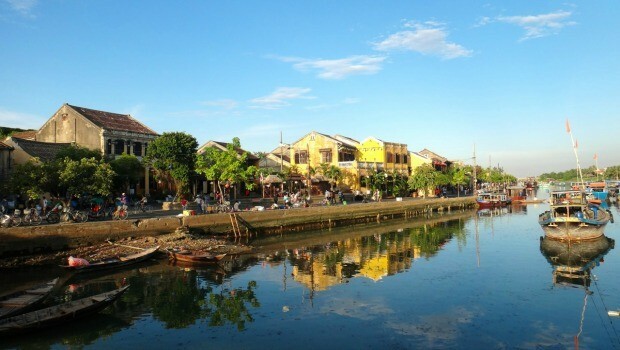 There, you have read through a checklist of 22 reasons to visit Hoi An. By far the most well-preserved, unique site in Vietnam, Hoi An, one of the most memorable destinations of Asia, should be on the must-see list of every traveler.